PRIMERA — A mother is behind bars after police said they found her children alone in an apartment with narcotics within arms reach. 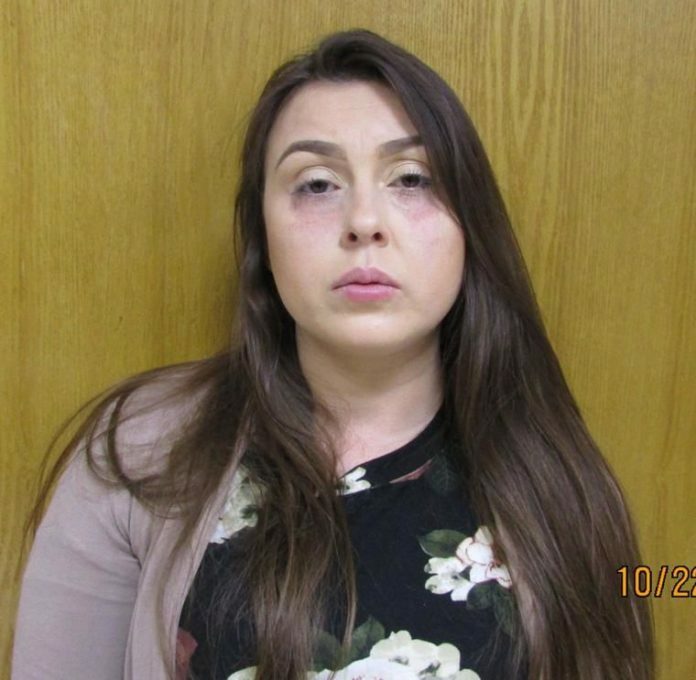 Sara Anne de La Garza, 32, has been charged with possession of cocaine, marijuana and two counts of abandoning or endangering a child with intent to return. Her bond was set at $1,500. She was arraigned by Municipal Judge David Wise and transported to Cameron County jail. Garza was arrested on Monday after a concerned neighbor heard young children and found them in an apartment of an evicted tenant, according to police. Police arrived at the apartment located in the 2300 block of Stuart Place Road after receiving the emergency call. According to a release, a strong odor of marijuana came from inside the apartment when officers arrived at the location. Police did a walk-through of the apartment and found several baggies of marijuana and cocaine on top of the bathroom counter well within reach of the children, according to the officers. According to police, the oldest child, 8, said his mother went to get pizza. A toddler was also in the apartment. Police said officers contacted de La Garza by cell phone, and she did not have any food with her when they made contact. The children were released to another family member and Child Protective Services was contacted.